2 Broadway - Park City Line (Bronx) - S. Broadway - Park Av. - Roberts Av. 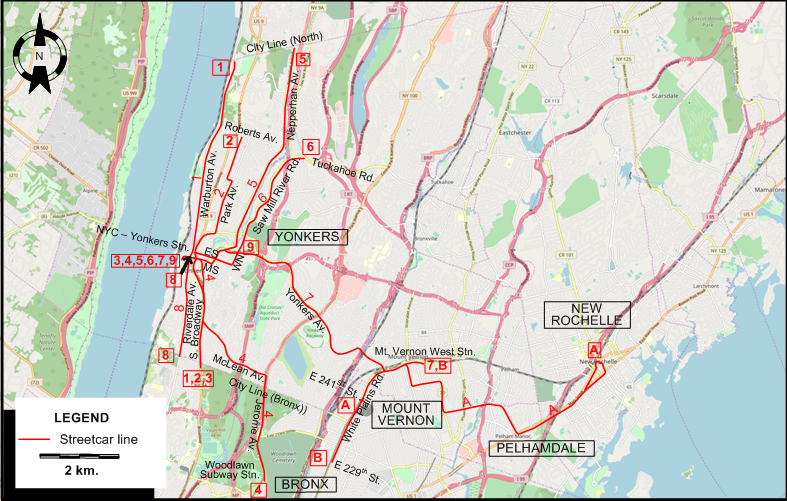 3 Broadway - Getty Square City Line (Bronx) - S. Broadway - Main St. - NYC Yonkers Stn. 4 McLean Woodlawn Subway Stn. (Bronx) - Jerome Av. - McLean Av. - S. Broadway - Main St. - NYC Yonkers Stn. 6 Tuckahoe NYC Yonkers Stn. - Main St. - Saw Mill River Rd. - Tuckahoe Rd. 7 Yonkers Av. NYC Yonkers Stn. - Main St. - Yonkers Av. - Mt. Vernon West Stn. 9 Elm - Walnut NYC Yonkers Stn. - Main St. - Elm St. - Walnut St.
B 229th St. - Mt. Vernon 229th St. (Bronx) - White Plains Rd. - Mt. Vernon West Stn. 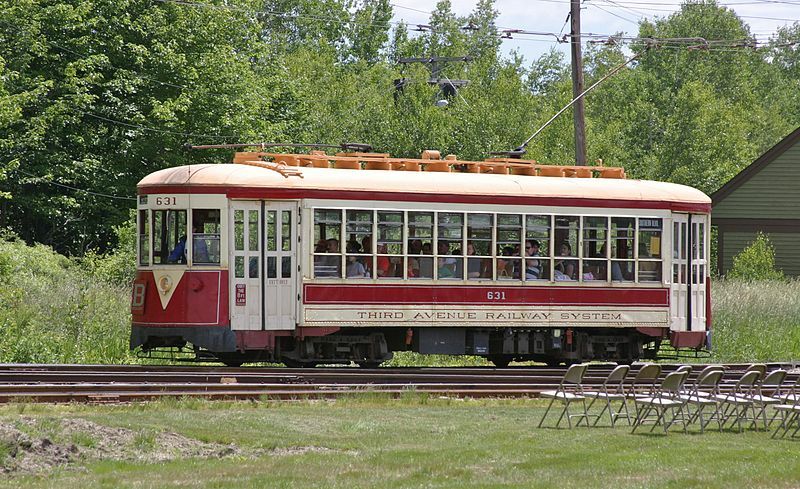 Westchester County streetcar system: ? km. Horse-drawn streetcars: 14 Feb. 1887 - 1892 (?). Kneiling, J.G. Third Avenue Transit System - Track map of trolley lines in Westchester Co. N.Y. New York City: Electric Railroaders' Association, Feb. 1946. Special thanks also to Russell Powers for extensive information on the Westchester County streetcar system.